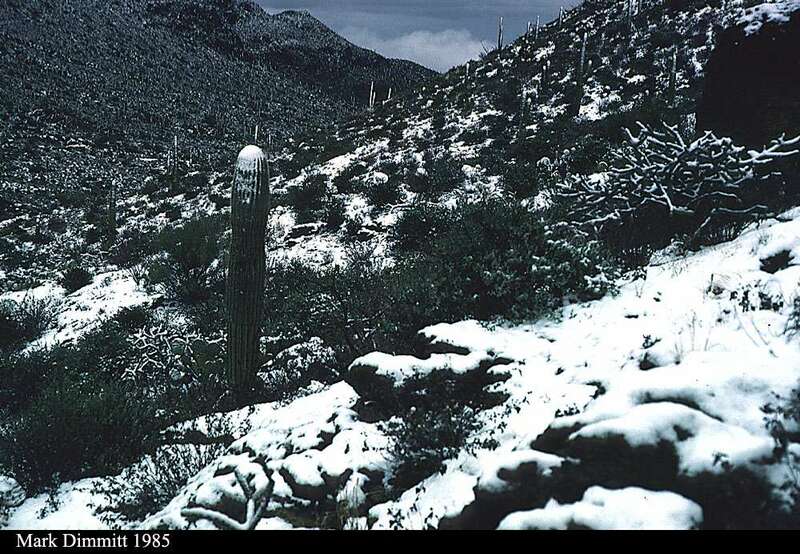 A preponderance of winter images of Arizona Upland are of snow on cacti. That's only because it's such a stunningly unusual event - as rare as a desert wildflower bloom. 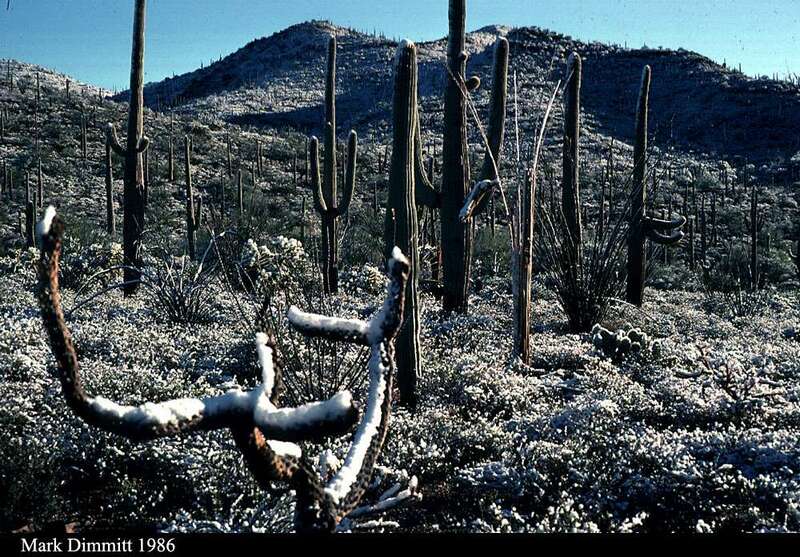 During the decade of the 1990s the Desert Museum had snow on the ground only three times, and it always had melted by noon. 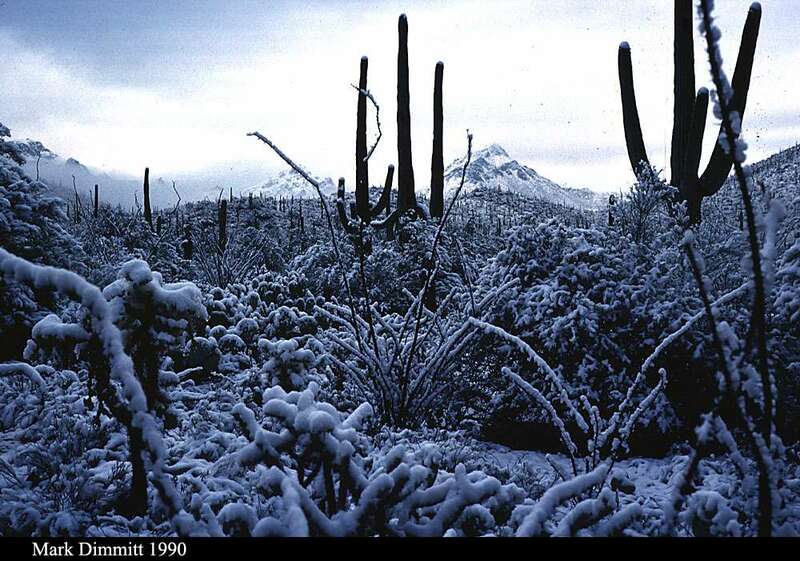 The other images in this gallery show more typical winter scenes, especially AZUTucMts18.